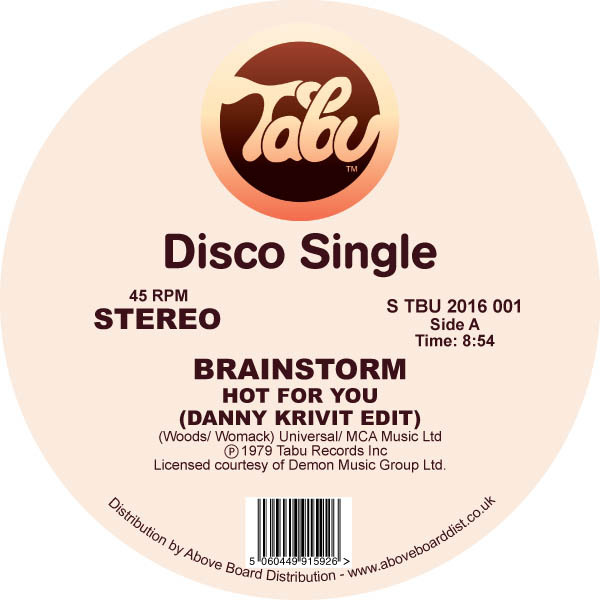 Detroit's Brainstorm have achieved cult status as a group among underground Disco, Soul and Boogie aficionados worldwide. "Hot for you" lifted from their 3rd LP from 1979 has always been a huge record for the more discerning Disco jocks, those who like to dig a little deeper to find the gems. A real dancefloor burner that found favour with everyone from Larry Levan to Daniele Baldelli after it's original release. The same can be said for "Journey to the light", another anthemic slice of midtempo Michigan Soul that was hugely popular in London on it's infamous "Rare Groove" scene, pirate radio stations and beyond. Lifted from the bands second LP and oozing class "Journey..." is a stellar cut, truly essential! Both of these tracks on one 12" already make this an essential release for any real Soul head, but the fact that the versions featured here are private re-edits from one of the true masters of the game's private vaults makes it utterly unmissable. Yes, that's right - Danny Krivit, Disco royalty, a true pioneer and re-edit trailblazer adding his unique touch to these incredible pieces of music make this a particularly hot biscuit. Danny has kindly opened up his archive and in conjunction with Tabu / Demon music group brings us these amazing reworkings. Both tracks have been lovingly edited and tweaked by Mr.K himself with DJ's and dancers in mind. 100% legit!